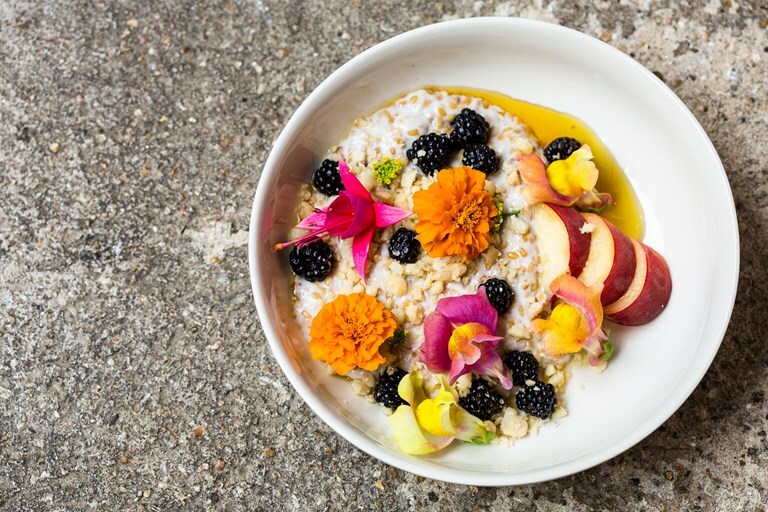 Dan Wilson's linseed coconut pudding recipe is a twist on the chia puddings that are so popular on brunch menus nowadays, but with a much more complex and delicious texture and flavour. He serves the pudding with fruit and a stunning smoked syrup, achieved with wood chips and hot coals. Use golden syrup instead of honey for the pudding to make vegan.